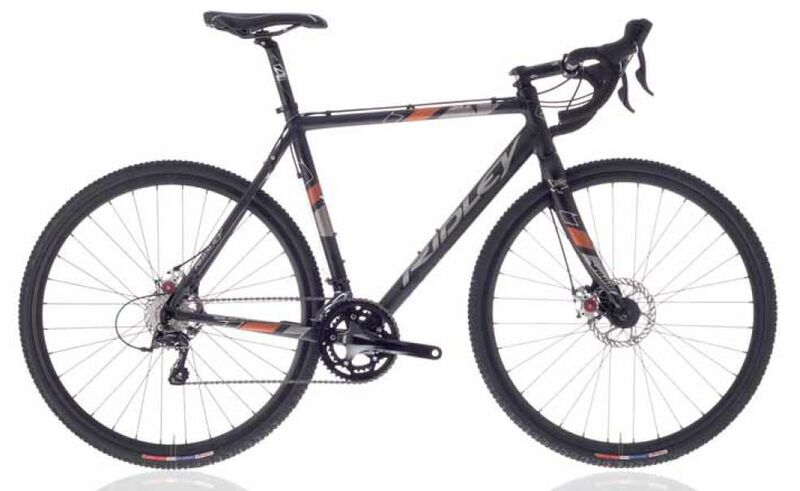 Ridley have just released details of their 2014-15 season Cyclo-Cross bikes and we’re featuring a few of them. Following on from our look at the top of the range X-Night, this time we’re at the other end of the scale with the X-Bow Disc, Ridley’s “budget” Cyclo-Cross disc braked bike and offers a brilliant entry level platform on which to begin your Cyclo-Cross career, or make your first foray into the disc-equipped market. Equally at home as a commuter bike or perhaps a winter road bike, where its disc brakes, wide range of gears and fine handling and durability make it a great all-rounder. The kind of bike you can take out and decide mid ride if you’re going to add in an off-road loop. The X-Bow also comes in a very wide range of sizes, from 2XS to XL. Stocks are due in the shop later in the summer and we will be displaying selected models at the Brooksbank School Cyclo-Cross event on Sunday 17 August (School address: Brooksbank School, Elland HX5 0QG – event runs from 11am till mid afternoon). This entry was posted in Latest News on June 20, 2014 by pedalsportclub.